The idea was coming up with a programming, data analysis and light graphics workstation. It will also be my primary personal PC used for everything but gaming. Ideally a workstation for my situation would be small, powerful and quiet. Combining all those three is hard unless you want to cook the internals. I went with smallish but well-ventilated case from Silverstone and made sure to pick components and cooling solutions carefully, maximizing the two 120mm fans at the front and the exhaust port at the rear. 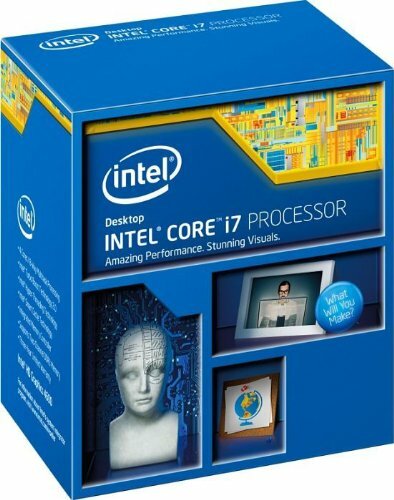 Processor choice for my budget was either the i7-4790K or the newer i7-6700K. the primary benefit of the latter is better onboard graphics that might make it unnecessary to add an external GPU. Emphasis on "might." It's new tech and few real reviews of how well it works with a 4K screen. I'm not gaming, but I am doing some business graphics, heavy Photoshop and light video. (to be honest, even Google Earth seems to tax some onboard video cards at high resolutions). Primary downside to the newer processor is greater expense for other pieces -- motherboard and memory. Went with the readily-available 4790K. My primary concern for graphics is ability to drive decent 2D graphics on a 4K screen. I will not be gaming, so fast frame rates in 3D aren't an issue. "Ideal" for a workstation is usually a professional graphics card like a FirePro or QuadroPro, but if you don't care about software certifications you get a lot more bang for the buck in a consumer-grade card. I had started thinking of a GTX750Ti or R7 370, but the new GTX950 seems to fit the bill at a similar pricepoint. In my normal use the fans don't seem to come on much if at all. The card manages 23fps at full 4K resolution and 40fps at 1080p. Even if I were to add a second screen, probably overkill for my purposes. 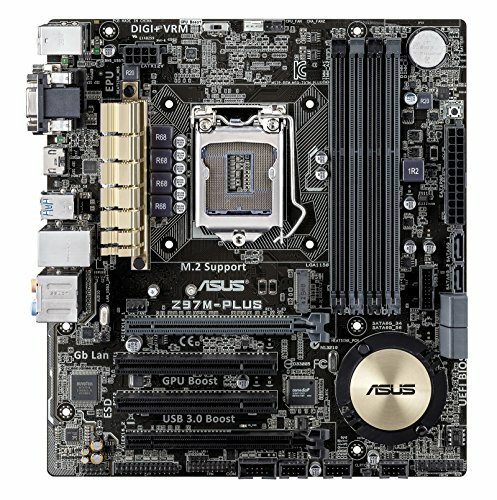 Motherboard is a fairly full-featured Z97 from Asus. 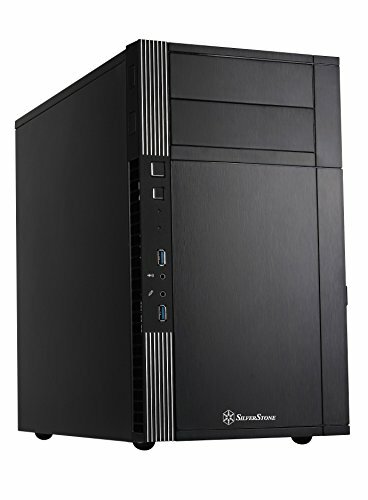 There are fewer choices in the Micro-ATX format than in the full-sized ATX boards but this one does everything I need it to. Memory? Price was right on the Crucial Ballistix Sport. Cheaper in fact than plain-old "naked" RAM. 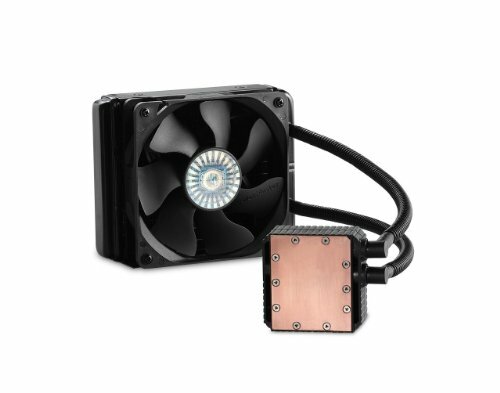 Small CoolerMaster AIO water cooler. Was originally thinking of getting a second fan to make a push-pull arrangment but glad I didn't because clearance between the pump unit and a potential second fan would be too tight. Turns out that would be wildly overkill for my needs, as I'm unable to get the (not overclocked) CPU temp past 56C no matter what I do. I replaced both the case fans and the radiator fan with Noctua for quieter acoustics and better airflow. The new front fans run at full speed (1200RPM) and the radiator fan is motherboard-controlled, usually running about 600-800RPM and maxing out at 1500RPM during a stress test. There is good positive pressure resulting in steady airflow through the vents at the back. Sound is barely audible from under the desk. Primary storage is a 240GB PNY SSD that I had from another project. Ideally on this motherboard you should skip the external SSD and get one that fits into the onboard M.2 slot. Storage for larger datasets and files is on a Seagate 2TB Barracuda. Both are backed up externally. No optical drive. For the rare occasions when one is needed, I have a USB-connected DVD drive. 550w modular PSU from EVGA. I went for the "G2" version rather than the "GS" with the only real difference being a 140mm fan vs 120mm, which will make this one quieter if the fan ever cuts on. It's over-rated for the build and the PSU is fairly open both at the back and on top where the fan is located so cooling isn't turning out to be much of an issue. Other accessories: 1394A card in the extra PCIe slot, which I use for an old film scanner that there is no point in replacing. Wireless keyboard and mouse. Webcam and headset for video calls. I currently have this plugged in to a Dell 27" 4K screen that includes a USB soundbar for all the audio I'm likely to need. It also has a built-in USB hub into which I've plugged the soundbar, receiver for the Logitech keyboard/mouse, webcam and headset. Windows 10. So far I'm pleased with it. Solves most of the issues I had with 8.1. CPU: Maxes out at 56C. Nothing I can do will budge it past that. GPU: Maxes out at 70C, making 23fps at 4K resolution. 1) My pile of stuff. Cat in the background has a little notch in one ear and was therefore named "floppy." 2) Original case fans are a Silverstone FN121-P variant running at lower than normal speed (900 RPM). 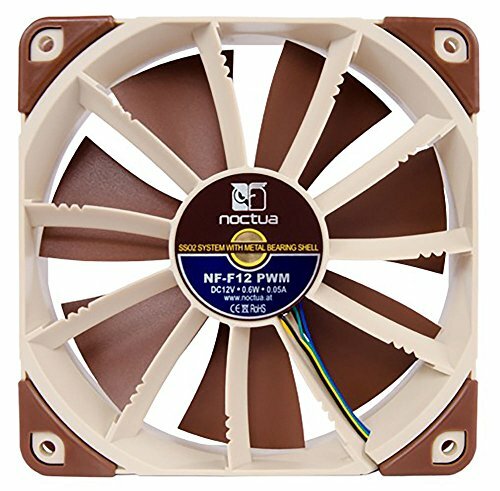 3) Fans replaced with Noctua NF-P12 PWM. In fact, the PWM variant was unnecessary. I run them full speed. 4) The EVGA GTX950 card is a nice looking GPU. 5) Motherboard, drives, and cooler installed. Silverstone's reverse mounting for the motherboard puts the processor at the bottom. The SSD is mounted underneath the visible 3.5" HDD. 6) Slots are now filled with the GPU at the bottom and the 1394A adapter at the top. 7) Had some temp issues with the CPU running very hot and had to install the other two memory sticks, so opened up the case and re-mounted the cooler pump with a lot more care. The space is tight and I suspect it just hadn't seated properly. Also mounted the pump "right side up." Seems to have solved the problem. 8) Closer look at the motherboard, backside of the GPU, cooler, fan, RAM. 9) The back of the case. Everything fit in nicely and reasonably neatly. 10) Front: Clean and simple. 11) Rear panel with very nice-looking and fairly open PSU at the top, 1394A adapter in the top slot, EVGA GTX950 card occupying the bottom two slots and the usual bunch of motherboard connectors. Also a decent view of the radiator outlet in the 120mm fan space. Decent amount of additional openings for exhausting hot air. 12) It's got the Microsoft sticker on it now so it must be legit. 13) The pile of stuff under my desk: CPU, NAS, backup drives, and two UPSs. I tend to end up with a lot of stuff from clients who no longer need it and I bring it home. It's like a disease. 15) Yeah, that's why I got the 4K screen. 16) The GTX950 handles the 4K screen pretty well. You're not going to use it for high-speed gaming at that resolution, but more than adequate for me in a non-gaming setting. A second test at 1080p got 40fps. Top of the line 4th generation Core processor. Does what it needs to and doesn't complain. Keeps my CPU (i7-4790K) nice and cool even through a pretty exhaustive stress test, maxing out at 52C. I found the fan to be a bit loud for my setting at high RPM. Using BIOS control to limit fan speed helped a lot without much impact on CPU temp, but ultimately decided to replace the original 2500RPM fan with a Noctua NF-F12 that maxes out at 1500RPM. Decided not to deduct a point for this because it's not a high-end unit and doesn't promise top-quality quiet fans, but be aware that it can be made into a much better unit than it is with a fan replacement. If you have the space, you might also be able to configure it as a "push-pull" with the radiator sandwiched between two fans. There are screws included that would allow for this. Installation was relatively painless, but a third hand to hold the backing plate while you mount the pump unit would be helpful. I managed without but had to do it twice. First time it either didn't sit flush or I overdid it with the thermal paste: idle CPU temp was hitting 56C. On the second install I made a point of putting the pump unit on with the CoolerMaster logo right side up and the hose attachments at the lower right rather than facing up where they have more space. The instructions make no mention of this (they're pretty bad), but decided that it couldn't hurt even though this made it a bit more difficult to route the hoses. DEducting a point for the bad instructions and somewhat clunky mounting mechanism. But after all that, it's doing exactly what it should and doing it relatively quietly. My first experience at using an AIO cooler and despite the initial installation difficulties I have no complaints. It's a motherboard. Does everything I need it to and in fact may be overkill for me as I'm not overclocking or doing any other "nonstandard" stuff that this board supports. Well made, and the ASUS BIOS control is the best in the business. For my purposes that mostly involved configuring BIOS control of the fan speed for my AIO cooler, which was quite easy: set the pump unit to 100% all the time using one of the chassis fan connectors and the fan to PWM control using the CPU fan connector. It's memory with a heat spreader bar. How much the latter really matters id debatable, but it was cheaper than "naked" RAM. Crucial tends to generally be on the better side of available clock rates (CL9 in this case, compared to many competing products that are CL10 and CL11) which can't hurt. 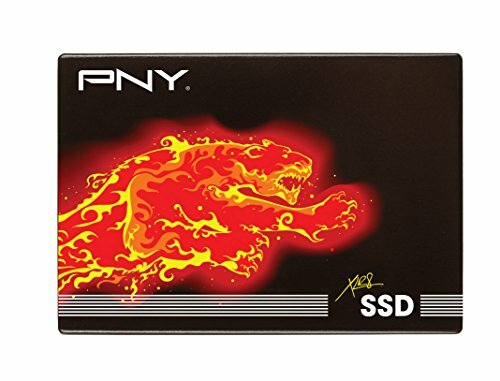 Does everything a mid-tier SSD should at a competitive price. No complaints. Reasonably fast, reasonably quiet, reasonably priced. It's not enterprise-grade, but doesn't claim to be. Just a good, solid desktop drive that in my application is used for working storage of large files. Very pleased. I thought this would be overkill for my non-gaming use and it may well be, but compared to built-in graphics the performance of just about everything on the screen is infinitely better than I've been used to for a long time. Since my work doesn't involve games, I am not terribly concerned about frame rates. Furmark says this one is managing 23fps on my 4K screen and 40fps at 1080p. Seems to drop of rather dramatically after 1080p though, with QHD performance hardly better than 4K. In my normal use the fans rarely come on. When they come on during a test or other stressful use they are quite quiet. I haven't bothered overclocking it, so can't comment on how it handles that. There's always a lot of trash talk about Windows and Microsoft have certainly made some big mistakes with some releases. This one seems to have gotten it right though. It borrows some of the better features from 8, while getting rid of a lot of the annoying ones. All in all, it's the first OS since 7PRo that I've liked at all. Quiet and delivers a nice blast of air through my Coolermaster Seidon 120V radiator with much less noise than the OEM fan. PWM speed control adjusts quickly with CPU temp as programmed in the BIOS. Just a good solid no-frills, no-LEDs, no-BS fan that does its job. I have two of these at the front of my case running at full speed all the time. 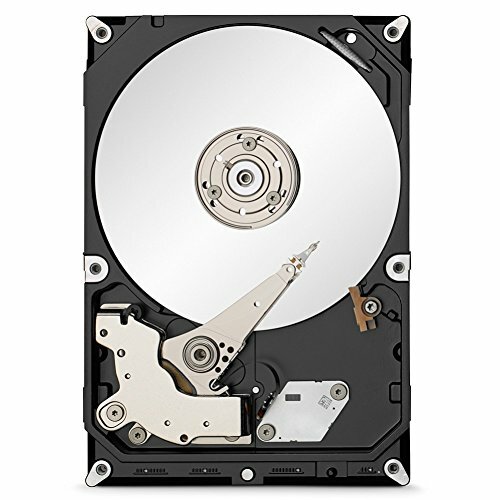 Quiet and deliver nice airflow and pressure into the positive-pressure case with much less noise than the slower and less-capable OEM case fans. Just a good solid no-frills, no-LEDs, no-BS fan that does its job. Nice wireless keyboard that I've been using at a client site for a while and decided to bring home. Thanks client! As with any other, the keys take a little bit of getting used to, but this one is reasonably similar to the keyboard on my notebook, so very easy for me. "Solar" recharging works well under my desk lighting. A neat utility can be downloaded that tells you the state of charge and how well it's charging. Right now it's achieving near maximum charge under a ceiling-mounted 75w equivalent bulb. Another utility allows you to configure sharing of the "Logitech Unifying Receiver" with another compatible device, which saves a USB port if using separately-purchased Logitech devices. I've been using this at a client site for a while and decided to bring home. Thanks client! Mouse use is personal and this one fits my hand better than any I've used recently. A downloadable utility allows you to configure sharing of the "Logitech Unifying Receiver" with another compatible device, which saves a USB port if using separately-purchased Logitech devices. Another gives you full mouse and keyboard control and adjustment, though I find that the built-in Windows mouse controls are more than adequate for my needs. 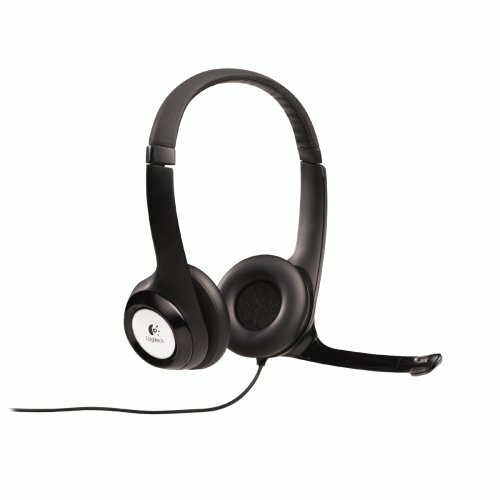 Nice basic headset for video conference and phone calls. No complaints. I'd change the pull confg for the AIO. Would help with dust build up on the rad. Nice build anyways! It's not a pull config. Set to push air out. Mostly running in the 600-700RPM range. Easy enough to do if I have issues, but for now seems nice. Silverstone puts a pretty fine filter screen on the front ahead of the fans (not pictured) so dust inside should be less of an issue than on other cases I've used, but I do make a point of blowing it out every few months in any case. If you wanted quiet then an AIO was a bad decision. Honestly, I barely hear the pump and the fan is running pretty slow most of the time. Pretty sure it's quieter than the OEM Intel fan anyway. In part, I suspect it's being in a fairly well-enclosed case with three fans in it to mask the noise. And the way the case is designed, it's all the way at the bottom which tends to isolate it even more. All I hear is a very lite whirr of the fans and if there's anything else going in it's masked by that. Now, it's not next to my ear by any means, but compared to the old Dell workstation I had a couple of years back and still use at a client site, this is wildly quiet. Very glad to have built it myself and been able to put the effort into the things that mattered to me. I did have some issues with the initial installation. Temps were way too high (54C at idle! ), so removed, cleaned, re-applied thermal paste and now it's idling nicely at 32C. Still haven't run a stress test. Once a bit of age hits it you'll start hearing it. Current case fans are 1200RPM Noctuas, running full speed all the time. The Silverstones that came with the case were 900RPM fans (de-rated versions of the FN121-P) that were noisier and pushed less air. Yikes that's even louder! Why no BIOS fan control? Using BIOS fan control for the radiator fan. Could do it for the front fans as well, but no point. Seriously, with everything full speed I can barely hear it. Nice quiet fans and they move enough air to keep it cool under stress. No difference in the hyperthreading capability between an i7 and a Xeon E3. Both support it on four cores, giving you eight virtual cores. Xeon E3-1275: Supports ECC memory on an appropriate motherboard. Bottom line to me is that the differences between an i7-4790, i7-4790K and Xeon E3-1275 are pretty minor. I'm not going to spend the extra bucks for the ECC memory and motherboard to support it. Also unlikely to overclock. So I went with the highest "out of the box" clock speed and left it at that. No, you don't need it, but if you're not using ECC then you're not getting any real advantages over an i7. Like I said, same core with some features turned on and off. 4790K can overclock. E3 can use ECC. If you're not doing either, it's a matter of price and speed. Before I pulled the trigger I was looking at 4790, 4790K and E3-1275. Otherwise the build would have been identical. Budget allowed for the faster one so I went there. Take it from a guy who used to work at the "i" mothership. By the time a product hits the level of maturity that this processor core is at, the differences are entirely labeling and minor tweaks to turn features on or off.